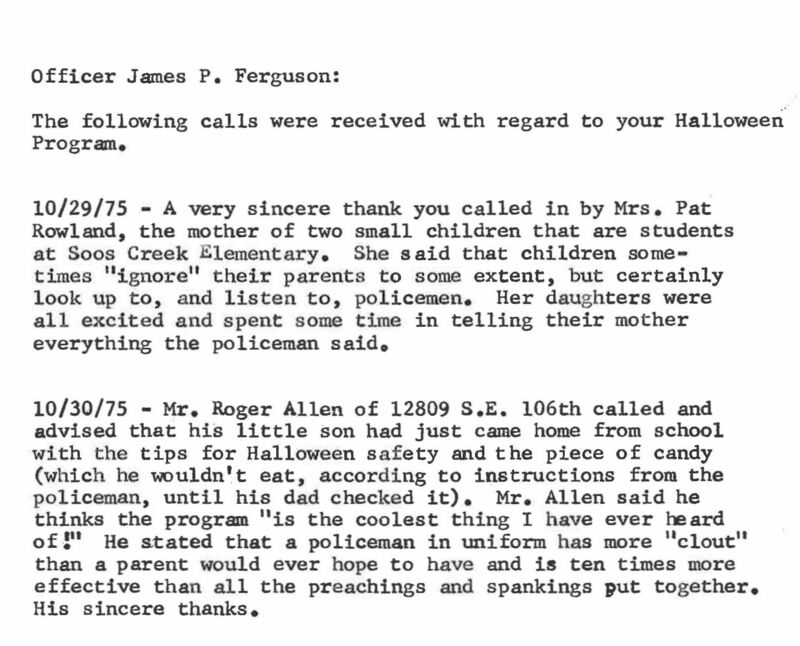 In 1975, King County Police officers made presentations on Halloween safety at 38 elementary schools, reaching approximately 20,000 students. Volunteers from Girl Scout Troop #421, a retirement home, and a senior citizens’ club helped prepare by stapling candy to 20,000 flyers. The candy had been donated by several local manufacturers and distributors. 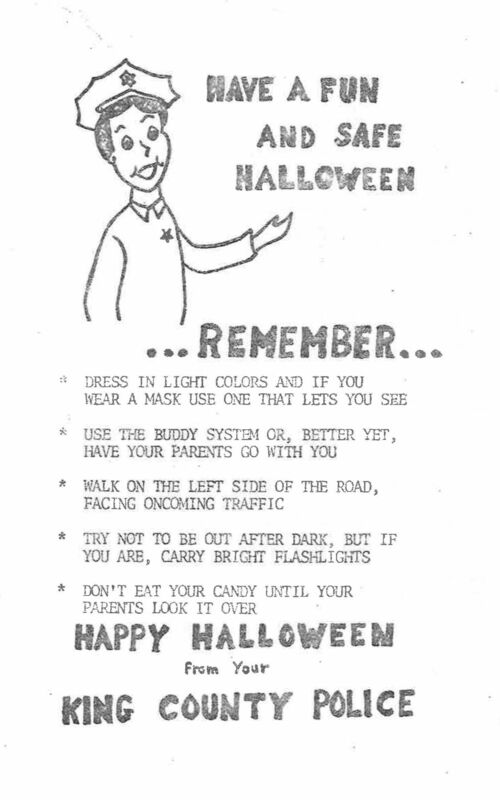 Source: Series 314, Department of Public Safety Issue Files, Halloween Safety Project, Box 17, Folder 16, King County Archives.